When you are tasked with helping the most photographed woman in the world maintain her looks, you need to make sure you're at the top of your game. Thankfully, that is exactly what world-renowned beauty therapist Nicholas Joss is… and then some. The aesthetician was Meghan Markle's first point of call when she first began visiting Prince Harry in London. And, by all accounts, she is still working her magic on the soon-to-be royal's skin in the lead-up to her wedding day. But Markle isn't the only famous-face Joss has been tasked with helping to shine. 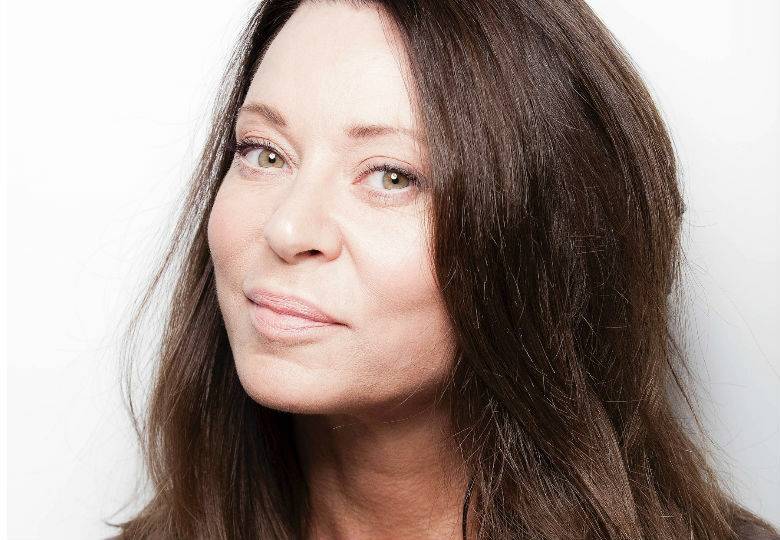 Her list of clients reads like a who's who of Hollywood and includes Margot Robbie, Kate Moss and Gisele Bundchen. Robb Report Australia was lucky enough to have some time with Joss and asked how exactly how to get that Markle sparkle. What is the one thing you wish all women knew about their skin? That what you put into your body will help create your best future skin. Also, the importance of protecting surface skin from pollution and sun damage. If there was one tip you could give all women when it comes to skin care, what would it be? Massage, massage, massage!!!!! The benefits of daily massage on the face are huge – it aids in the removal of tension and stress in muscle tissue. It will help to soften and strengthen the muscle fibres to give a more lifted structure to facial contours. Massage will also remove toxins, help to drain and eliminate puffiness and fluid retention. and improve blood circulation. This will encourage a more nutritious oxygenated blood flow to the skin cells and muscle tissue, helping to improve regeneration and restoration of skin. What is your go-to skin care routine? I have a really regimented skincare routine, which alters depending on the time of day. In the morning, I cleanse with a facial micellar water oil to awaken my skin and remove any overnight puffiness. I massage this in to stimulate the lymphatic system, before removing with a warm, damp face cloth and spritzing with a facial mist. I then apply my actives – a mix of serums such as hyaluronic acid, matrixes peptides and either a retinol serum or an antioxidant. I leave these to fully absorb into the skin for around ten minutes (which is when I do my hair and take my anti-ageing supplements). Then my skin is ready for day cream! I like to use a moisturiser with stem cells. Lastly, I apply an SPF before beginning on my make-up. I like to split my evening skincare routine into two separate sessions. Firstly, as soon as I get home, I remove all my make-up, daily pollution and topical grime using a cleansing oil, massaging it into the skin before removing with a face cloth. I then spritz my skin with a facial mist, followed by a liquid exfoliator applied onto a cotton pad and swept over my skin. I then apply actives, which I leave to absorb and drop into the skin for a few hours. Then, at bedtime, I spend 5–10 minutes massaging my skin with a facial oil or balm using sweeping strokes working from the centre of the face, working upwards and outward, and concentrating on the jawline, under the cheekbones and across the brow. 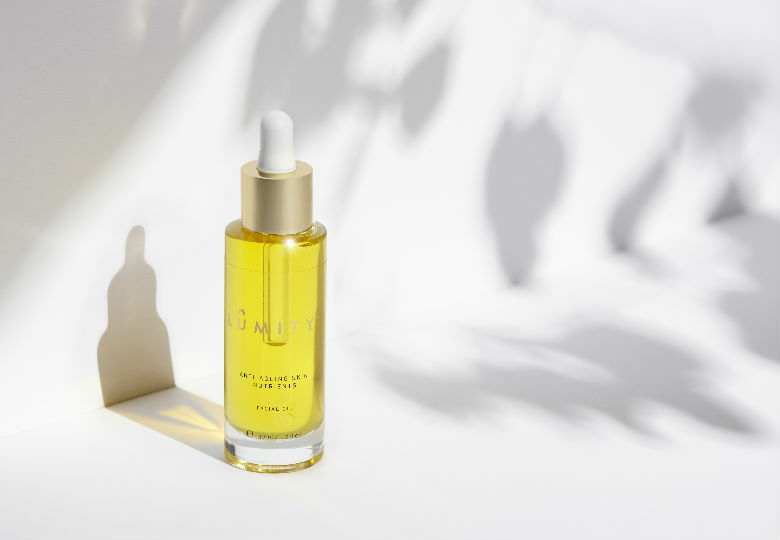 My favourite facial oil is Lumity’s Skin Nutrients oil, it’s versatile and easy to use and absorbs fully into the skin leaving no stickiness or residue – just bouncy fresh skin. It adds vitality and life to skin, helping to re-balance the surface and gives a really fresh look. I use pressure to massage in the oil as this helps to stimulate the lymphatic system and drain any toxins and congestion from the face, as well as de-stressing the muscle tissue, stimulating the reflexology points and fully hydrating the skin before sleep. I finish by taking anti-aging night supplements. Are there any new trends emerging when it comes to skin care? I believe there is a huge trend emerging of holistic beauty, the knowledge that what goes into the body is what shines through on the outside. Because of this I believe people will begin to look after themselves more by eating right, exercising and include supplements into their diets. Lumity's range also contains an anti-ageing supplement which helps support the body throughout the day, I feel amazing now that I incorporate it into my daily routine. Going forward I also believe there is going to be advancements in technology smart skincare devices – which is exciting! How can you get rid of under-eye bags? Massaging around the eye area will help to not only keep the eyes bright and sparkly but will improve the muscle tone and moisture content of the skin and surface texture and tone. As well as stimulating the lymphatic system to drain fluids, puffiness and approve the appearance of under eye bags. Get into a really good cleaning routine to keep the skin clear and clean. Invest in a good facial oil and massage into your skin in the evening this will help to keep it healthy bouncy radiant and moisturised. Massaging an oil into the beard area will also help to keep the hair soft and the skin nourished.